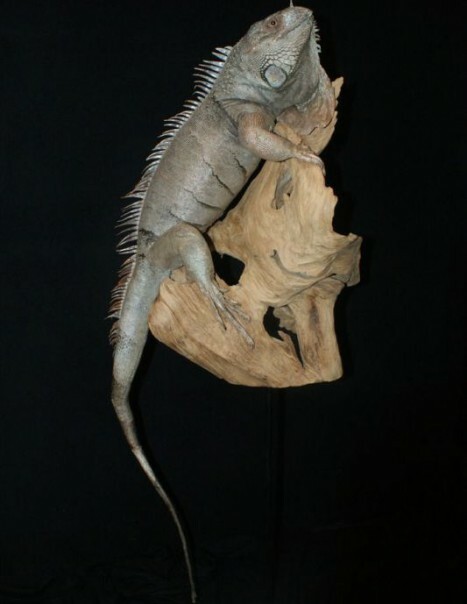 The green iguana is a species of the Iguanidae family. It is a large species of arboreal lizards of the genus Iguana herbivores native to South and Central America. 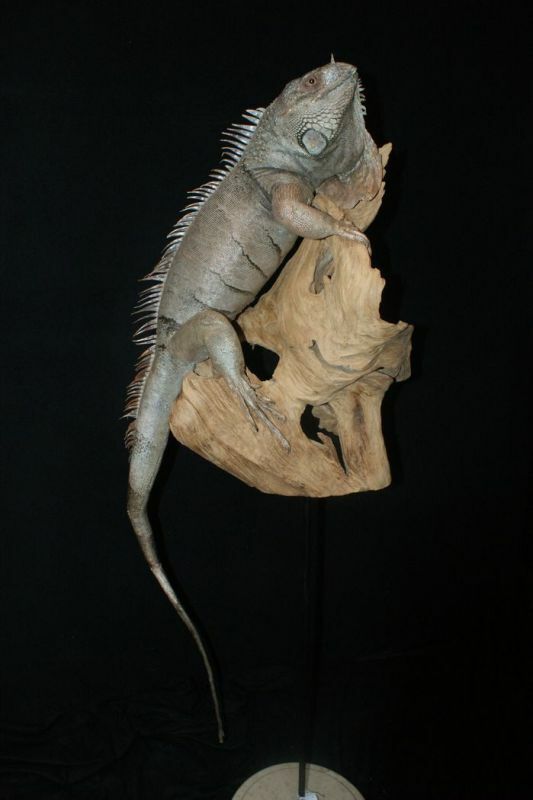 Adults are about 1.5 m from head to tail, and some specimens may reach 2 m and weigh 5 kg, making it the largest iguanas. It takes various colors depending on its area of ​​origin, its color can be various shades of green, but also be pink, blue or orange. It spends most of its time in trees, feeding on foliage. It is a territorial animal aggressive towards other males, particularly during the breeding season. Females lay eggs once a year and after hatching the youngs are left to themselves, often victims of predators like basil. They reach sexual maturity at three years. They are found in Brazil, Paraguay to the north of Mexico and the Caribbean Islands. It is also present in the United States, Florida, Hawaii, in the Rio Grande Valley in Texas, where it is a threat to the local ecological balance. In South America, the Green Iguana is valued for its meat and eggs and is hunted or raised to provide local markets but also to supply the market for pets. It is actually more commonly bred in captivity as a new pet due to its calm disposition and bright colors, although it requires special care and enough space. Catches of wild animals have reduced staffing, although the species is still threatened.